Want to use Ctrl+Alt+Delete in MAC, but don’t know How to use Activity Monitor Mac for safe your Mac from Overheating or Slowdown? 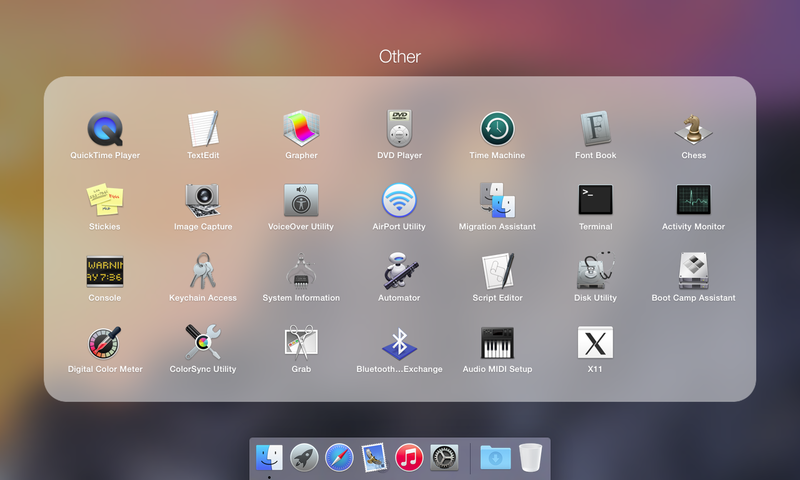 The in this guide I am going to show you How to open and use Mac Activity Monitor. Being a Mac user, it is important to manage your Mac’s performance. Sometimes, Mac starts overheat and works very slow. If you are suffering from the same issue then by following this article, your problem will be solved. We are talking about Mac Activity Monitor. You can use it to enhance your Mac’s performance and reduce power consumption. First, let’s clear out that What is Mac Activity Monitor? This service will show you the list of current programs running on your Mac. You can say Mac Activity Monitor is same as Windows Task Manager. You can analyze the memory consumption on your Mac by different programs. Unnecessary programs that are running in background results in slow down in performance and fast battery drain on Mac. Therefore, to keep your Mac life healthy, you can watch their running time and stop unwanted programs to running in background on your Mac. Opening Mac Activity Monitor for the first time on your Mac is one of the easiest work. You don’t need any advanced technical knowledge in other words, a simple user can easily operate with Mac Activity Monitor. Just follow below two steps if you are going to open Mac Activity Monitor for the first time. 1- First of all open Launchpad on your Mac. 2- Now click on Other than click on Activity Monitor. You can enhance your Mac’s performance by closing or killing unnecessary programs that are running in background. Your step will not only solve heating issues but also make your Mac perform faster. 1- First of all open Activity Monitor by following above steps. 2- Here you have to analyse the programs and find the unnecessary program. 3- When you found an unwanted program then simply look whether it is clogging CPU or huge space. 4- Once you find it, simply click on it. 5- Now look at the upper-left of your screen. There will be a cross icon. Simply click on it. 6- Here a confirmation popup will appear on screen. Simply click on Force Quit. 7- Congratulations!! You have successfully killed the unwanted program with Mac Activity Monitor(Ctrl+Alt+Delete). Being a Mac user, you must watch the battery draining usage on your Mac by different running programs. Using Activity Monitor, you can simply search for the battery draining program then simply close it. 1- First of all open Activity Monitor using above steps. 2- Now head to the energy section. 3- Here you have to click on energy impact option. 4- Here a list of programs will appear showing you battery usage by different programs. 5- Once you found the battery draining program then simply close if. Above we have provided the guide to enhance your Mac’s performance using “Mac Activity Monitor”. We hope this article helped you. 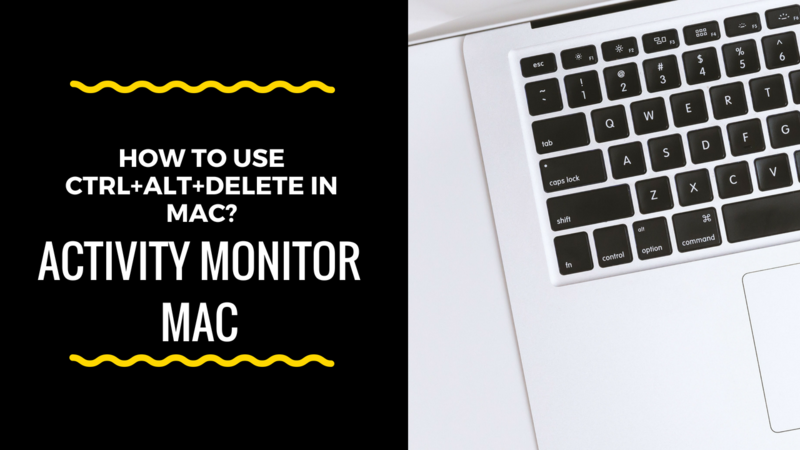 Don’t forget to comment below guys if you find any problem while using Mac Activity Monitor(Ctrl+Alt+Delete). You are doing such a great post thanks for sharing the post. I really enjoyed the post keep up the good work..